The thyroid hormone resistance syndromes are disorders in which the body's tissues are resistant to the effects of thyroid hormone. They are syndromes of reduced responsiveness of target tissue to thyroid hormone (TH) that were identified in 1967. The clinical presentation of RTH is highly variable. The majority of individuals are completely asymptomatic. Not uncommonly, individuals have symptoms of both TH deficiency and excess. Even more often symptoms are subjective, and the signs are not specific for thyroid dysfunction. Other than assessment of TSH regulation by TH feedback, laboratory tests that measure most tissue responses to TH are insensitive and relatively nonspecific. •	Generalized resistance to thyroid hormone (+GRTH+) is characterized by resistance in the pituitary gland and in most or all of the peripheral tissues. Affected individuals have elevated serum thyroid hormone levels and inappropriately normal or elevated thyroid-stimulating hormone (TSH) but are usually clinically euthyroid and require no treatment. •	Selective pituitary resistance to thyroid hormone (+PRTH+) is characterized by resistance in the pituitary gland but not in peripheral tissues. Patients have elevated serum thyroid hormone levels and normal or elevated TSH levels and are clinically thyrotoxic. Therapy is usually necessary, but current choices are not completely satisfactory. •	Selective peripheral resistance to thyroid hormone (+PerRTH+) is characterized by resistance in peripheral tissues but not in the pituitary. The only patient thus far described had normal serum thyroid hormone and TSH levels but was clinically hypothyroid and improved with thyroid hormone administration. All of these disorders are probably more common than is generally recognized and are often misdiagnosed and inappropriately treated. While the causes of PRTH and PerRTH remain to be determined, GRTH is in most cases studied. For normal thyroid hormone action you need normal thyroid hormone transport across cell membrane, appropriate deiodination, thyroid hormone nuclear receptor, thyroid hormone response elements, co-activators, co-repressors and normal histone acetylation. Any abnormalities in the above chain can result in thyroid hormone resistance. The most common cause of the syndrome are mutations of the β (beta) form (THRB gene) of the thyroid hormone receptor. Mutations in MCT8 (THCMTD - thyroid hormone cell membrane transporter defect) and SECISBP2 (THMD - thyroid hormone metabolism defect) have also been associated with this condition. THRB mutation: the frequency is one case per 40,000 live births and it's the same in both genders. MCT8 mutation: it's recessive X-linked, 100% penetrance and it has been reported in individuals of all races. The incidence of this recently recognized defect is not known. TH metabolism defect: the incidence is unknown. It is characterized by more or less intense impairment of the mechanism for feedback on the pituitary physiologically exerted by thyroid hormones, for which the TSH-secreting pituitary cells that are normally inhibited by the presence of circulating hormones FT4 and FT3. It's FT3 to inhibit TSH with the negative feed-back. For the reduced sensitivity to the presence of thyroid hormones in the circulation, due to the mutation receptor, the pituitary cells of affected subjects produce TSH in excess, which stimulates and induces the thyroid gland to secrete higher amounts of hormones FT4 and FT3. This phenotype is not consistent with classical generalized hyperthyroidism or hypothyroidism. Depending on the type of TH transporters expressed, different tissues manifest the consequences of TH excess or deprivation. Tissues expressing other transporters than MCT8 respond to the high circulating T3 level, resulting in a hyperthyroid state, while tissues dependent on MCT8 for TH transport, are hypothyroid. • thyroid tests including high serum T3 and low rT3. Serum T4 concentrations are often reduced, but may be within the low normal range, while serum TSH levels are normal or slightly elevated. The identification and characterization of several classes of molecules that transport TH across membranes, has changed the previously accepted paradigm of passive TH diffusion into cells. One of the transporter of the thyroid hormone is MCT, belong to the monocarboxylate transporter family (MCT8 and MCT10 are specific TH transporters). Differences in tissue distribution and transport kinetics of TH and of other ligands, impart their distinctive roles in the cell-specific delivery of TH. The importance of MCT8 was most convincingly demonstrated by the identification in two different laboratories of the first inherited THCMTD caused by mutations in the MCT8 gene. Although presence of the defect is suspected on the based of clinical findings and standard laboratory tests, genetic confirmation is mandatory. The MCT8 gene was first cloned during the physical characterization of the Xq13.2 region known to contain the X-inactivation center. It has 6 exons and a large, >100 kb first intron. It belongs to a family of genes, named SLC16, the products of which catalyze proton-linked transport of monocarboxylates, such as lactate, pyruvate and ketone bodies. The deduced products of the MCT8 (*SLC16A2*) gene are proteins of 613 and 539 amino acids (translated from two in-frame start sites) containing 12 transmembrane domains (TMD) with both amino- and carboxyl- ends located within the cell. The furthest upstream translation start site is absent in most species, including mouse and rat. Thus, the importance of the additional N-terminal sequence of the longer human MCT8 protein is unknown. The demonstration in 2003 that the rat homologue was a specific transporter of TH into cells opened the field to clinical and genetic investigation. Location of the 58 known MCT8 mutations and their frequency in 80 families are shown by the vertical lines. Horizontal lines indicate the mutations with deletions of large regions. • infantile hypotonia and poor head control. They develop progressive spastic quadriplegia, diminished muscle mass with weakness, joint contractures and dystonia. Early and characteristic thyroid abnormalities are high serum T3, low T4 and slightly elevated TSH. The effect of the high serum T3 levels on peripheral tissues are reduced cholesterol and increased SHBG and lactate. Other endocrine tests (including pituitary function) were normal when tested in a few individuals. However, administration of incremental doses of L-T3, using the protocol devised for the study of patients with RTH, showed reduced pituitary sensitivity to the hormon. This is probably due the reduced feedback effect of T3 on the hypothalamo-pituitary axis, as well as the incremental effect of the hormone on peripheral tissues already exposed to high levels of T3. MCT8-dependent THCMTD is syndromic, presenting a thyroid and a neuropsychomotor component. However, the majority of patients come to medical attention because of retarded development and neurological deficits. TSH concentration is not elevated. Treatment options for patients with MCT8 gene mutations are currently limited. Supportive measures include the use of braces to prevent mal-positioned contractures that may ultimately require orthopedic surgery. Intensive physical, occupational, and speech therapies have subjective but limited objective beneficial effects. Diet should be adjusted to prevent aspiration and a permanent gastric feeding tube may be placed to avert malnutrition. High L-T4 dose treatment has been used in combination with propylthiouracil (PTU), which is a specific inhibitor of D1. This results in reduction of the conversion of T4 to T3 in peripheral tissues by D1 while it allows the local generation of T3 by D2 in tissues. Although this treatment allowed an increase in serum L-T4 level without increasing the hypermetabolism and weight loss, it did not improve the neuropsychomotor deficit. Other possible treatments currently being tested include administration of the thyromimetic drug DITPA, that seems to be effectively transported into mouse brain in the absence of M8. The only known inherited thyroid hormone metabolism defect (THMD) is that caused by recessive mutations in the selenocysteine insertion sequence-binding protein 2 (SBP2) gene affecting selenoprotein synthesis, among which are the selenoenzymes deiodinases. Affected individuals present with short stature and characteristic thyroid tests abnormalities: high serum T4, low T3, high rT3 and normal or slightly elevated serum TSH. In addition they also have decreased serum selenium (Se) and decreased selenoprotein levels and activity in serum and tissues. The requirement for TH varies among tissues, cell types and the timing in development. In order to provide the proper intracellular hormone supply, TH entry into cells is controlled by membrane transporters, and further fine-tuned by its intracellular metabolism, regulated by three selenoprotein iodothyronine deiodinases (Ds). D1 and D2 are 5’-iodothyronine deiodinases that catalyze TH activation by converting T4 to T3. D3, a 5-deiodinase, is the main TH inactivator through conversion of T4 to rT3 and T3 to T2. Deiodinases are selenoproteins containing the rare amino acid, selenocysteine (Sec), present in the active center of the molecule and required for their enzymatic activity. They are differentially expressed in tissues and in response to alterations in the intracellular environment, further regulated at the level of transcription, translation and metabolism. Deiodinases share with other selenoproteins the synthesis through a unique mode of translation. The codon used for insertion of Sec is UGA, which under most circumstances serves as a signal to stop synthesis. This recoding of UGA is directed by the presence of a selenocysteine insertion sequence (SECIS) in the 3’-untranslated region of the selenoprotein messenger RNA. It is the SECIS-binding protein 2 (in short SBP2) that recognizes the SECIS and recruits an elongation factor and the specific selenocysteine transfer RNA (tRNASec) for addition of Sec at this particular UGA codon. The mutant gene SBP2, affects the synthesis of selenoproteins including the deiodinases. It is anticipated that mutations in other genes causing defective thyroid metabolism may have different phenotypes. So far no humans have been reported with mutations in the deiodinase genes or in other proteins involved in selenoprotein synthesis. 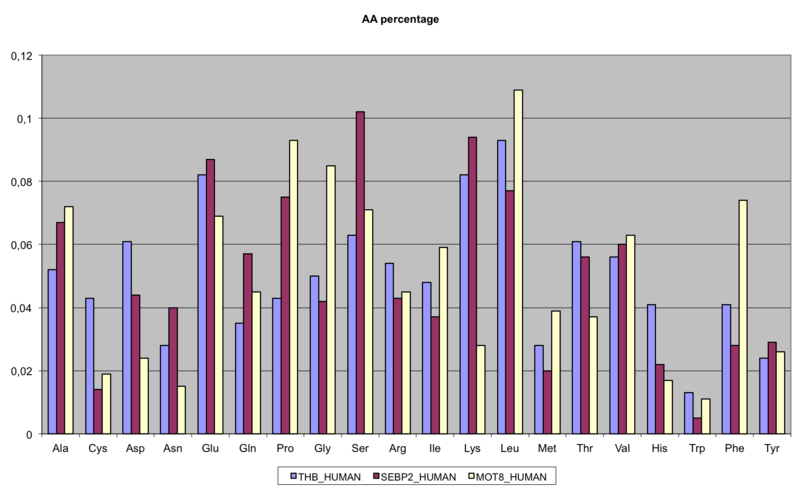 The human SBP2 gene, cloned in 2002, is located on chromosome 9 and encodes a protein of 854 amino acids widely expressed in most tissues. The C-terminal domain of the protein is required for SECIS binding, ribosome binding and Sec incorporation which is mandatory for SBP2 function. The role of the N-terminal region is not fully understood. Recent in vitro studies have characterized a nuclear localization signal located in the N-terminal part and nuclear export signal in the C-terminal part. These domains enable SBP2 to shuttle between the nucleus and the cytoplasm and play a role in the function of SBP2 in the nucleus, in-vivo. slightly elevated serum TSH (See Figure). Identification of the metabolic pathway responsible for the phenotype in these patients and the demonstration of defects in the SBP2 gene provided further insight into targeted treatment possibilities. Two such options, administration of Se and thyroid hormone were tested. Administration of up to 400 mcg of selenium, in the form of selenomethionine but not selenite, normalized the serum selenium concentration but not selenoprotein P levels and did not restore the TH metabolism dysfunction. Se supplementation in form of selenomethionine contained in Se-rich yeast seems to be more effective as it can be incorporated nonspecifically into all circulating serum proteins, whereas selenite is metabolized and inserted as selenocysteine into the growing peptide chain of selenoproteins, therefore resulting in different Se bioavailability. The effect of L-T3 administration was tested in three patients as it was demonstrated to equally suppress serum TSH concentration in affected and unaffected subjects, bypassing the defect. Delayed linear growth can be improved with L-T3 supplementation, but experience with thyroid hormone administration in these patients is limited. Other clinical features of SBP2 defects are treated symptomatically. Some cases of resistance to thyroid hormone still have an unknown cause. Not always the cause is genetic, so you might suggest a lack of selenium in the diet that prevents the proper functioning of selenoproteins causing the typical symptoms of hypothyroidism.